The Series 4500 tee purge assemblies are designed to be installed between the cylinder valve and the pressure regulator. 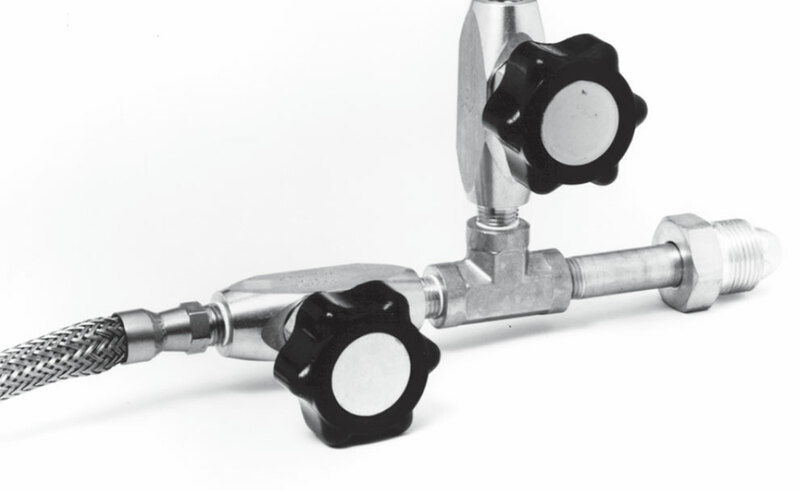 They enable the user to purge the system through the regulator with an inert gas. 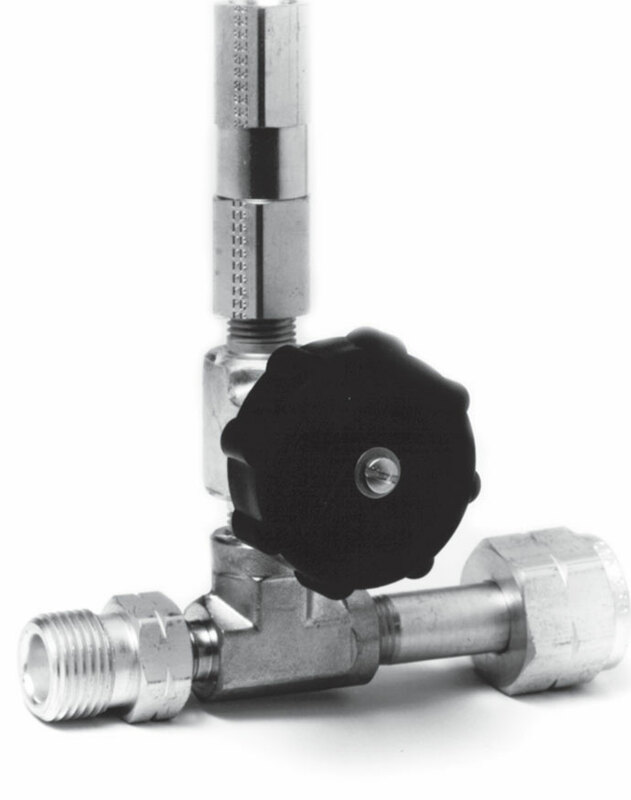 The Series 4500 units feature multi-turn diaphragm packless valves and a check valve installed on the purge gas inlet. They are rated for 3000 psig. *Specify CGA connection required when ordering. The Series 4600 tee purge assembly was designed for use with inert gases such as argon, helium, and nitrogen. When installed either on the inlet to a pressure regulator or on the cylinder end of a pigtail they are an ideal device for purging the cylinder inlet connection after cylinder changeover to eliminate the introduction of oxygen and water to the system. These tee purges conveniently use the gas in the cylinder for purging. The Series 4600 can be constructed either with multi-turn or 90º lever actuated diaphragm packless valves. This entire assembly is designed to pass a helium leak rated of 1 x 10-8 sccm. They are rated for 3000 psig.